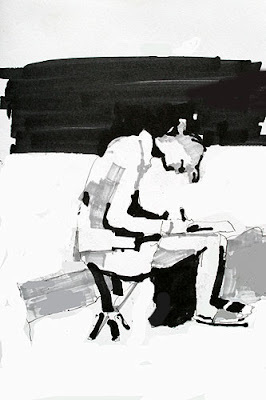 This is a notan drawing of Annabel drawing on last week’s workshop. It was done on day two, and I liked the way she was bending over her drawing , really concentrating. I like it when painters meet up & make ‘un entourage’, a crowd of painters if you like. Good to be group. The drawing was good.